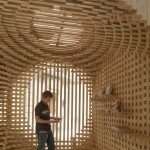 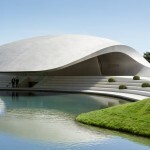 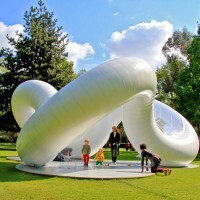 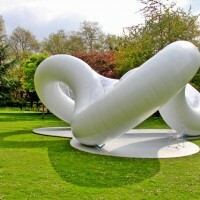 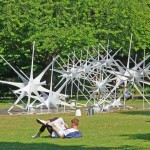 AZC (Atelier Zündel Cristea) have designed the Peace Pavilion in London as part of ArchTriumph. 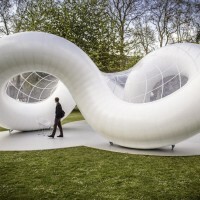 ArchTriumph is announcing the exhibition of the showcase “Peace Pavilion” in the Museum Gardens in Bethnal Green, London E2 9PA – just next to the V&A Musuem of Childhood opened by the Mayor of the London Borough of Tower Hamlet with a reception at the V&A Museum of Childhood, Front Gallery. 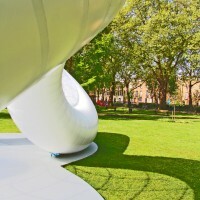 The Pavilion hopes to highlight the importance of Peace and Co-existence and also shade a positive light on the vibrant communities around this creative hub. 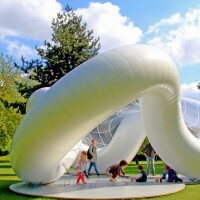 The design by an innovative and creative practice based in Paris called AZC (Atelier Zündel Cristea), was chosen from hundreds of ideas submitted from all over the world to an annual international competition with a brief to design a structure for this year’s Triumph Pavilion with the theme of “Peace” to provide an inspirational and interactive space where visiting architects, designers, families and the general public can stand, walk-through or seat around to admire and engage with each other to share discussions about design, diversity, the importance and benefits of peaceful co-existence, stories of childhood or other stories in the unique settings of the Gardens. 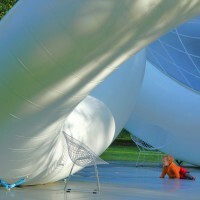 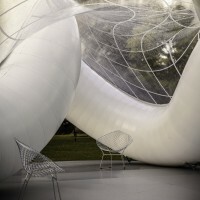 The Pavilion is a showcase structure to spotlight the work of an architect or design team. 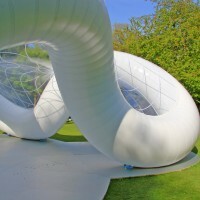 The Structure which measures approximately 4m in height and 62 m² in area, designed entirely with durable lightweight materials and inflated with approximately 47m3 of air is made of Clear 500my HvHt PVC, Precontraint 902S marin fabric, polished Aluminium and wood. 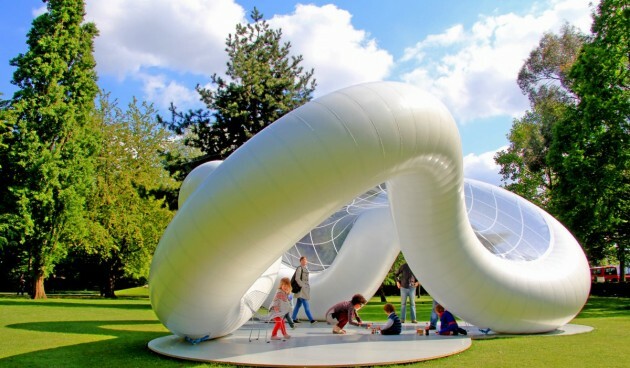 This year’s “Peace Pavilion” is also dedicated to the Sudans in recognition of the contribution made by their ancient pyramids to architecture and to encourage a peaceful future. 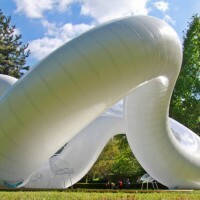 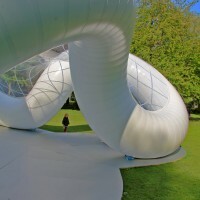 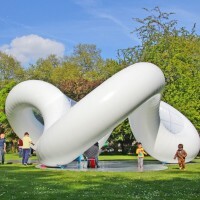 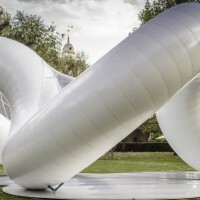 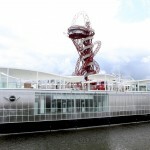 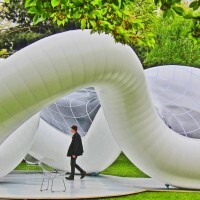 The Pavilion is expected to by sold after its exhibition run to a collector or museum with the hope that it will be exhibited by the new owners around the world in Europe, America, Asia, Middle East and Africa.